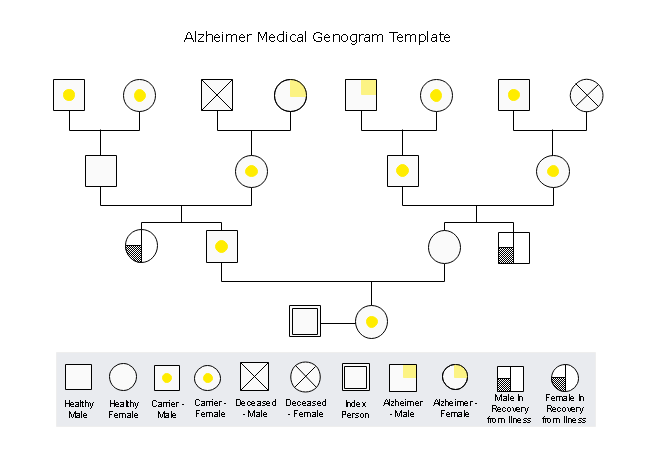 Description: It is no easier than analyzing a family medical relationship by using, for example, this Alzheimer medical genogram template with clear genogram symbols. Feel free to download the genogram software to edit the template based on your own needs. Share, discover and update org chart templates on professional content sharing community. All shared organizational chart examples are in vector format, available to edit and customize. Explore whatever fits you best and save for your own use.